Comment: Clothes moths. Had them about 2 weeks. Only sign is the moths themselves. And the small caterpillars. Have been managing them individually. Comment: I hear a squirrel rustling about in one area of the attic every morning. The attic is accessible through a trap door. Nothing is store up there. No one ever goes up there. Comment: Small black house ants in kitchen. Comment: Nine (9 ) rat holes in the run-off gully behind condominiums. Comment: Cockroaches in our kitchen. ABC Termite & Pest Control, Inc.
Towson Pest Control Services are rated 4.68 out of 5 based on 2,096 reviews of 17 pros. 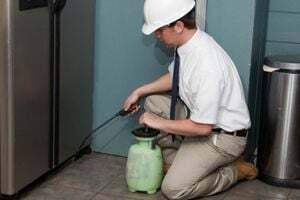 Not Looking for Pest Control Contractors in Towson, MD?